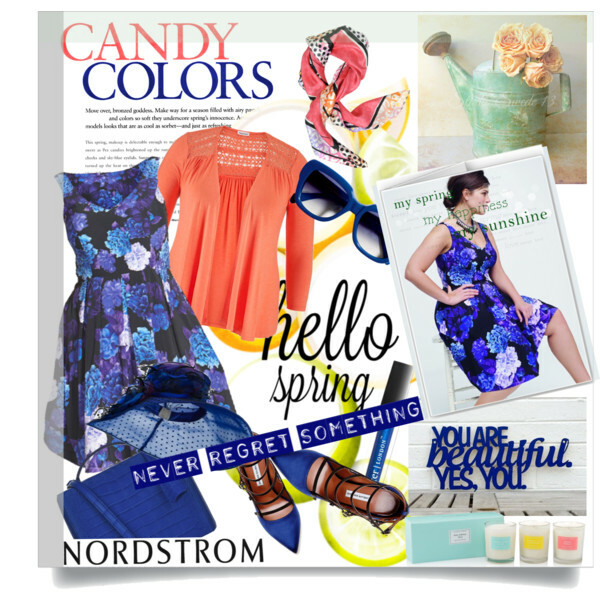 Show off your beautiful, curvy bods this spring with our amazing range of plus size spring outfit ideas! Orange and blue – it’s a combination that we were doubtful about. Not precisely sure if it works but looking at this set, we know it does. Orange seems really hard to pull off but when you can, it will look absolutely lovely. Beautiful eyelet cotton pleated mini skirt in baby blue with a floral v-neck top and cropped denim jacket for that slightly chilly yet beautiful sunny day. this look is perfect when you’re running errands and you just want to look really girly and fun. Boyfriend jeans will work on curvy women like you if it isn’t too loose or baggy. Make sure that if you get one, get something that’s not too tight but not too loose, not too light and look less distressed since it’ll put more emphasis on your lower region. You can pair your boyfriend jeans with just about anything, but for this spring time look, go for a leopard sleeveless top with a floral print topper. What do you think of an all-white ensemble? For added chicness, just add a statement blazer or jacket for an instant upgrade. 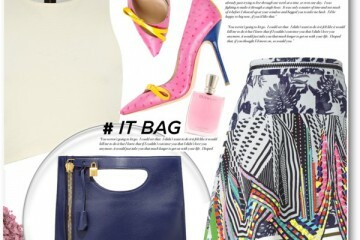 Who says you can only wear pastel and bright colors for spring? If you love black, you wouldn’t even care of these so-called rules for each season. Wear whatever you like and whatever you feel comfortable in. this pretty black maxi dress with floral prints is still appropriate for the season because of the flower detail. 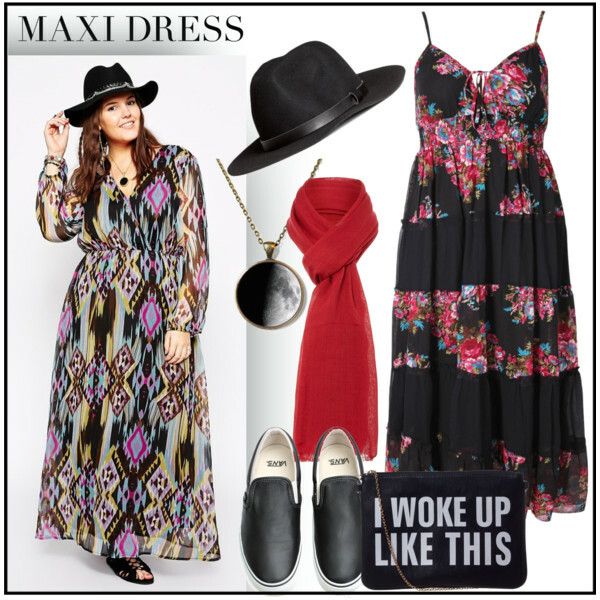 Add a bit of edge into your look with wide brim hat and a statement necklace. Coral pink + floral = absolutely stunning combination. What better way to add that pop of color under the sun? For a casual, everyday look, choose a chambray shirt paired with skinny white jeans and pointed heels. You’re still looking very laid-back and a little bit dressy at the same time. If you have a vertical ethnic print top like this one, it will look really pretty when layered. So layer this with a cute striped cardigan as well. If you’re not comfortable with short shorts, you can wear knee-length shorts with it and for added comfort, statement slide sandals like this one. 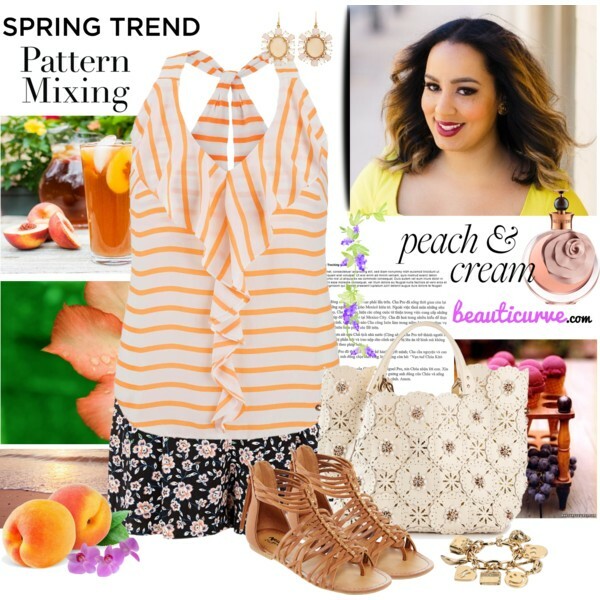 Mix patterns – orange ruffle front striped chiffon top with floral-print shorts and flat gladiators. Don’t be afraid of colors – it’s the perfect time to wear colors you’re afraid of wearing. Sport a red fitted blazer for work together with a gorgeous floral-print maxi dress (or any bold-print) dress and sandals. It’s pretty bold and striking.